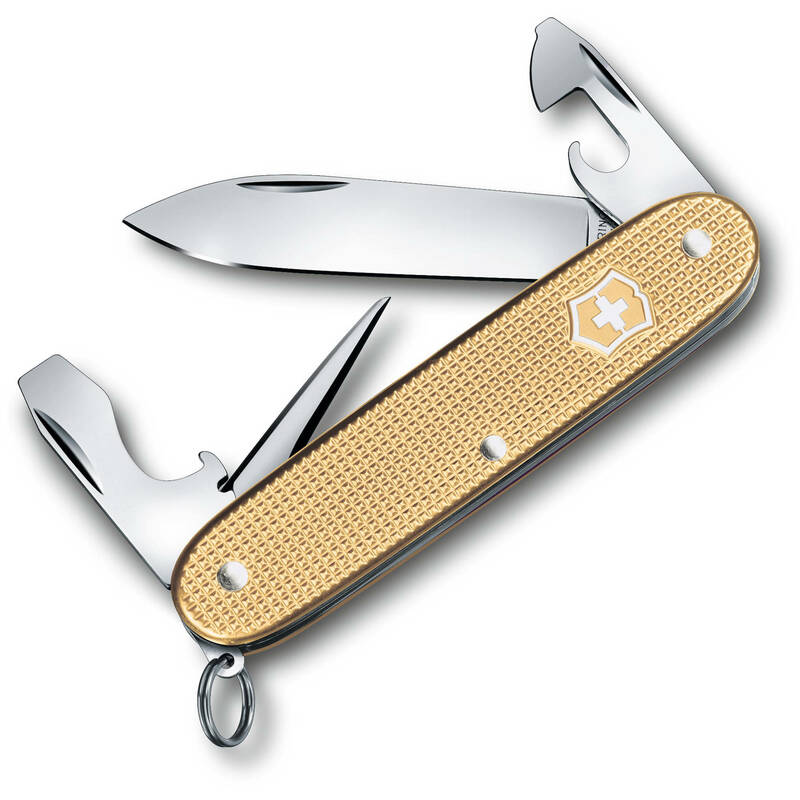 Every year since 2015 Victorinox has released a limited edition of this popular knife in a distinctive new color—and this year the Pioneer Alox Pocket Knife is offered in elegant and dynamic champagne-gold. Stamped from aluminum, embossed and wrapped in a corrosive-resistant anodized oxide coating on its Alox scales, the 2019 Pioneer is as striking as it is durable. As a large-sized multitasker, the knife is slim to fit comfortably in a pocket with a straight-edge drop-point blade and a set of useful tools that you'll find invaluable for your everyday needs.